CFS Stuffing, Factory Stuffing and Direct Stuffing are used at an export CFS stations / Inland Container Depot in related to stuffing of goods in to container. These terms are different types of loading at ICD/CFS. These terms CFS Stuffing, Direct Stuffing and Factory stuffing are used to account different types of stuffing goods. What is CFS stuffing? How does CFS Stuffing work in Export at a CFS/ICD? Once the cargo unloaded in to Container Freight Station for stuffing, the customs house agents file documents with customs to complete customs procedures. After obtaining LEO - ‘let export order’ from customs official, as last procedure of customs clearance under export, the customs house agents delivers the required documents to carrier. Carrier files necessary documents with CFS to load the container. After obtaining necessary permission, cargo will be loaded in to container. Direct stuffing – How does Direct Stuffing of goods work in Export at a CFS? Here, the truck carrying goods to export enters in the area of Container Freight Station which is a customs bonded area. The customs official can inspects the cargo and after necessary completion of customs procedures and CFS procedures, cargo is directly loaded in to container. This is called direct stuffing of cargo in Container Freight Station. Factory stuffing – What does Factory Stuffing work at a CFS/ICD? The exporter can obtain necessary permission to move the empty container from Container Freight Station (CFS) which is a customs bonded area to the exporter’s factory. The stuffing of cargo will be undertaken under the customs official’s supervision at factory premises. Once after completion of stuffing cargo, the container is unloaded back to the container freight station to move the cargo to final destination. Also read How to book empty container for factory/CFS/ICD/port stuffing Customs Inspection at exporter’s factory. 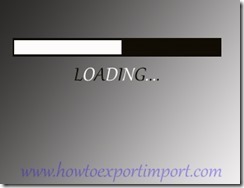 Is inspection of cargo required by customs for factory stuffing? Have you satisfied with this article about the terms - CFS Stuffing, Direct Stuffing and Factory Stuffing - used at a Container Freight Station? Do you wish to add more about Direct Stuffing/Factory Stuffing/ CFS Stuffing? Share your experience about CFS stuffing/Direct Stuffing/Factory Stuffing at an export customs location in Container Freight Station or Inland Container Depot. GST rate on sale or purchase of Base metal name plates, base metal letters, and base metals symbols etc. 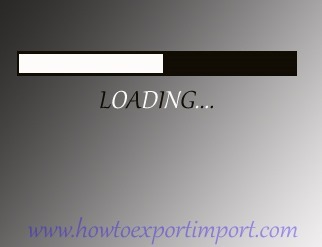 John: On 28 March 2013 Hi, This website is highly useful for all in a import and export business trade. I have doubt. I heard about self sealing of goods without customs supervision at factory for stuffing. Can some one help to clarify. admin: On 01 April 2013 Hi John, Permission for self sealing can be obtained from customs department for stuffing cargo at factory. Once cargo reached at customs location, such seal is broken and physical inspection of cargo is done at by customs officials at such customs location before allowing to move goods out of country. misbah shaikh: On 23 May 2016 how can i export as a merchant exporter to pesticides and insecticides chemical TC grade purity 95%. prempal sharma: On 30 August 2016 Hi, This website is highly useful for all in a import and export business trade. I have doubt. I heard about self sealing of goods without customs supervision at factory for stuffing. Can some one help to clarify. HIMANARAYANA: On 27 July 2018 THAN KS TO ALL BEHIND THIS SITE. KEEP POSTING MORE AND MORE KNOWLEDGE FOR LEARNERS LIKE US. WE WILL ALLWAYS BE GRATEFUL TO U.